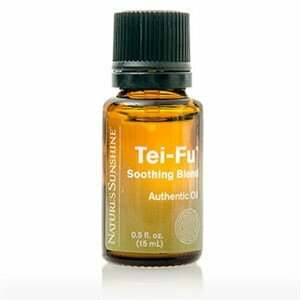 Nature’s Sunshine Tei-Fu® Soothing Blend Essential Oil features menthol, camphor, wintergreen, eucalyptus, lavender, and clove oils. Tei-Fu encourages relaxation and helps to sooth and cool. Dilute with Nature’s Sunshine Carrier or Massage Oil and apply topically to muscles after exercise or when needed. 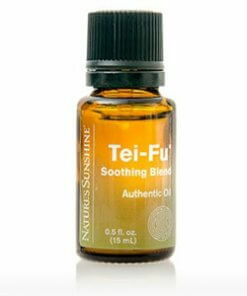 Tei-Fu can also be combined with Nature’s Sunshine Golden Salve to make a soothing balm.